Kidney diseases, along with the traditional treatment, is a widely used herbal medicine. Herbs possessing anti-inflammatory, diuretic and antispasmodic action will help much faster to solve the problem and maintain the functional ability of the kidneys that filtered per day more than 200 litres of blood, ridding the body of toxins. Nephritis and hydronephrosis prepare a decoction of bearberry. 1 tbsp. l. dried minced raw brew Cup of boiling water. Insist in a thermos for one hour. Drink throughout the day in 3 doses 30 minutes before meals. Previously the broth should drain. Bearberry is contraindicated in glomerulonephritis and pregnancy. Pyelonephritis, pyelitis treat with drugs prescribed by your doctor. Additionally, use herbal medicine. 2 teaspoons of dry powdered herb bedstraw pour a glass of boiling water. Soak in a water bath for 10 minutes, strain, bring the volume up to 200 mg. Take 2 tbsp to 5 times per day on an empty stomach. Collection of root labestia, harrow, licorice, juniper helps in chronic jade. Mix all the ingredients in equal proportions, for example 1 tbsp. l. Boil 20 g of the mixture Cup boiling water, bring to a boil, insist 30 minutes, drink the resulting mixture in 3 divided doses during the day. The course of treatment - up to one month. Then take a break and repeat the reception of the collection. As an anti-inflammatory and antispasmodic in diseases of the kidneys use the collection, consisting of 50 g of juniper, 20 g of licorice and fennel. Brew 1 tablespoon of the mixture Cup boiling water, heat in a water bath for 20 minutes, strain, take the infusion during the day in 4 divided doses. Mix equal amounts of nettle, knotweed, horsetail. 1 tablespoon collection pour a glass of cold boiled water. Steep for 8 hours. Drink the strained mixture in the course of the day in a few receptions. Pyelonephritis and pyelitis treat with the collection, consisting of equal parts of strawberry leaves, burdock roots, nettle, bilberry, elecampane, and leaves of chamomile and oregano. Steep 2 tbsp of the mixture with half a liter of boiling water, infuse in thermos for two hours. Take 100 ml 4-5 times a day before meals. 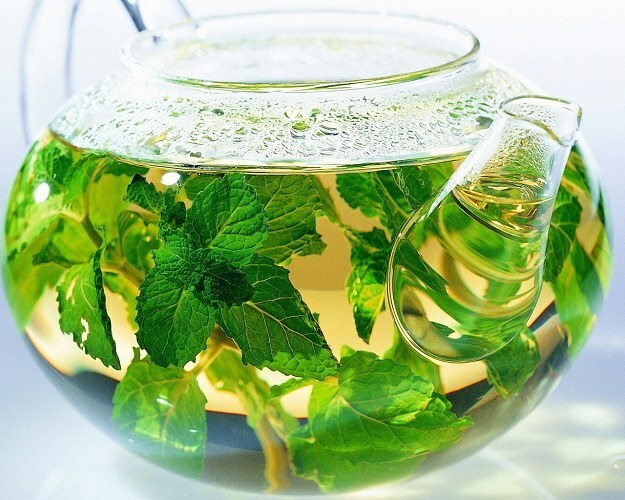 The quality of the collection diuretic for kidney disease, use corn silk, bilberry leaf, peppermint. All the ingredients are mix in equal amounts. 1 tablespoon collection pour a glass of room temperature water, heat in a water bath for 20 minutes. Strain, bring the volume up to 200 mg., Take one-third Cup during the day. Bird knotweed, birch leaves, rose hips, mint leaves and lemon balm mix in equal proportions. Brew 1 tablespoon of the mixture Cup boiling water. Leave for 1 hour in a thermos. Drink the entire mixture throughout the day. Daily prepare a new decoction. Powerful diuretic effect of such a charge helps withdraw toxins, sand, excess salt.